White Tiger offers adults a comprehensive fitness program. 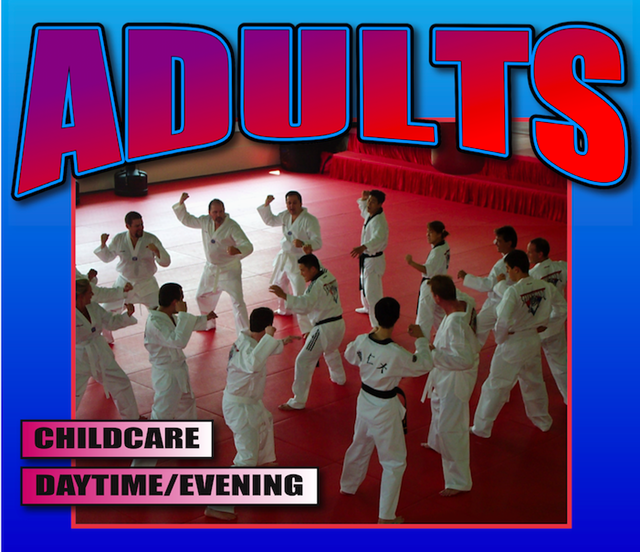 Classes are specifically designed to increase cardiovascular capacity, muscular strength, endurance and flexibility. They can provide an opportunity for weight loss and stress relief. In addition, training in Martial Arts produces benefits beyond those of a traditional exercise program. 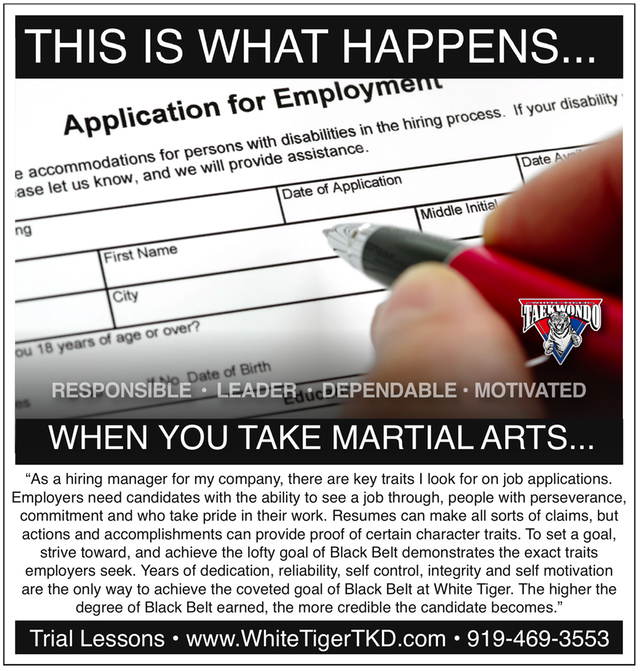 Martial Arts training is exercise with a purpose. While you improve your physical fitness, you will also be developing important self-defense skills. You will learn to confront and combat your fears. The confidence you gain from learning self-defense, improving your fitness, and feeling better about yourself willhelp you copewith daily situations at home and work. 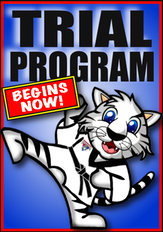 If you are concerned aboutyour ability to stick with an exercise program, Martial Arts is the choice for you. The variety of Martial Arts techniques will provide a constant challenge, and the rank system will show your progress and keep you motivated.